While the search of the best yoga mat is still debatable, there are certainly those that stand above the rest thanks to the affordable price and the value it offers. Such can be said for the Combo Mat from Yoga Design Lab. In our Yoga Design Lab Combo Mat review, we will detail the features that make it one of the best yoga mats available in the market right now. We will also talk about some factors that need improvement with the yoga. Bearing a design tag from its brand name can be a huge challenge for any company. Of course, it should deliver on the design of their products aside from providing the basic features and good quality. 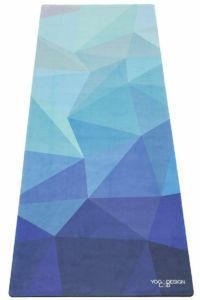 With that being said, this yoga mat epitomizes excellent design in every sense. One look at the yoga mat and you will be amazed by the design it flaunts. 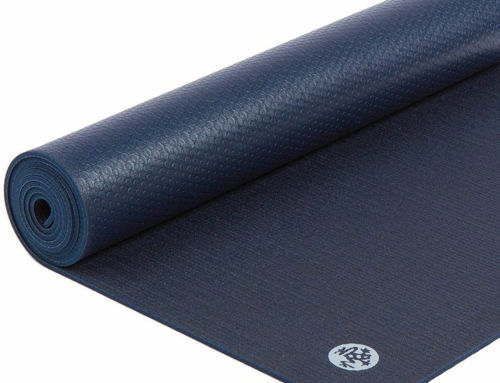 To simply put it, it is one of the best yoga mats on the market in terms of design. The Yoga Design Lab Combo Mat has a simple yet visually appealing design. It has a stripe chevron pattern which comes with a combination of a myriad of colors. The design automatically gets users that needed the boost when doing their yoga sessions. If you find it very difficult to even start the first pose, then this yoga mat gives you just the right amount of motivation you will need thanks to the bright colors it possesses. The colors aren’t as bright though that can distract you or even get you dizzy after a couple of Indian poses. One of the key distinguishing features for any yoga mat is the amount of traction it provides. 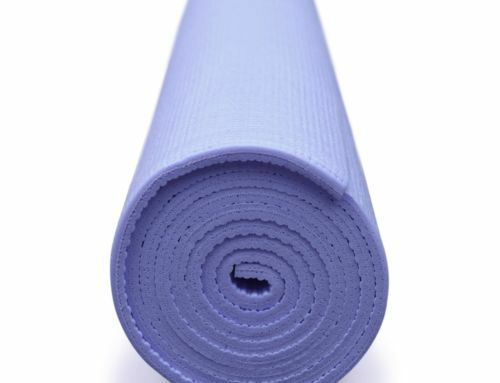 Equipping yourself with a yoga mat that has good traction will keep you safe from accidental slips or slides. This is because the higher traction it has, the better the ability it has to keep its position on the surface floor. Even when heavily perspiring or when you accidentally spilled water on the mat, it is able to sustain its grip on the floor, thereby improving the amount of safety it provides. The main point of calling this a combo mat is the fact that it is equipped with two surfaces that improve traction. The top portion though is made to be more comfortable as it is padded with absorbent microfiber. This top layer is soft and thick enough to provide just the right amount of cushioning for your joints while also just the right amount of stickiness for you to remain agile while changing from one pose to the other. The bottom portion is made of a layer of rubber which has excellent grip and traction towards any floor surface. This configuration of layers makes it possible to provide you with a combination of comfort, safety, and traction. When you buy this product you need not buy a yoga towel to keep the mat in place or to wipe the surface whenever its soaking wet with sweat. With this at hand, you need not worry about sweating hands or wet floor surfaces. The company takes pride in the sheer amount of security their products provide. One of the disadvantages though of the yoga mat is the fact that you might need not to prepare a spray bottle filled with water for your yoga sessions. When testing it out after drying the mat for a while, it tends to dry up to a certain degree. With this, the top layer is not as smooth as it is when wet. Because of this, you need to spray a small amount of water on the top layer so that you remain agile and flexible throughout your entire yoga session. One of the main principles of yoga is to keep a surrounding that is as peaceful and sustainable as much as possible. This is the reason why manufacturers that produce yoga equipment make sure to produce their products with eco-friendly materials. The Yoga Design Lab Combo Mat also shares the same sentiment as it is produced with eco-friendly materials. The main material used by the mat is constructed from biodegradable rubber from the rubber tree. The paint used to place colors on the mat are all from water-based inks. This reassures you that when using the Combo Mat, you are one with the community of yogis that promote the use of materials that are safe to the environment. You may notice that when first using the mat for the first couple of times, a certain rubber smell. The smell though is not offensive and will not distract you from your yoga session. Bring it outside for some air and the rubber smell will be gone after a couple of minutes. As expected though, there is some part of the yoga mat which is not made of biodegradable material. The top layer of the mat is made from 80 % polyester as well as 20% nylon. However, the company made sure not to include latex or phthalates based materials. When it comes to size, the Yoga Design lab Combo Mat is also well produced. It has a length of 70 inches and a width of 24 inches. This configuration is considered the standard for most yoga mats. It can accommodate the usual body sizes. It is also very lightweight as it only weighs 4.1 pounds. In terms of thickness, it is also adequately thick at 3.5 mm. portability is also not much of a problem with the Combo Mat as it comes with a carrying strap. Using this allows you to place it directly and carry it to virtually anywhere. The rings placed on the carrying strap are adjustable enough to allow loosely coiled yoga mats. The rounded corners and are very durable. In terms of ease of cleaning, this yoga mat does not disappoint. It is machine washable and is able to absorb sweat easily. Because of this, you do not run the risk of constantly slipping or sliding. It is worth noting that washing the mat through hand washing will increase the lifespan of the mat compared to placing it on the washing machine. You can place the mat on a dryer, however, to extend the mat’s longevity, you might want to hang it dry. This way, you save more electricity albeit, being more convenient. One of the main selling points of the Combo Mat is the price. 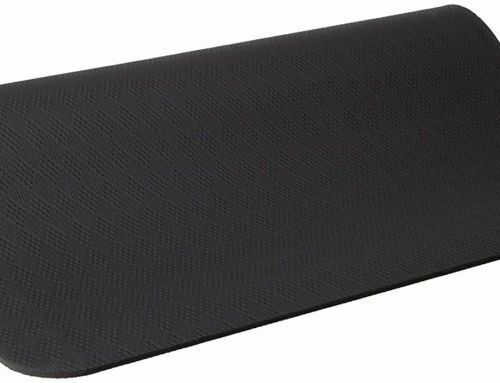 It is automatically one of the most bang for the buck yoga mats you can buy in the market right now. In order to pay it forward to the community, for every purchase of this mat, the company decided to give $1 to urban yoga youth programs across the country. This is a noble and humble act done by the company to give back to the community.